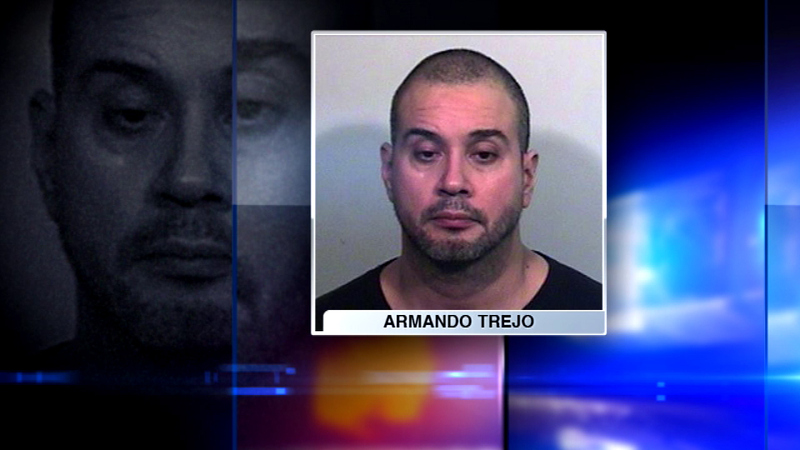 Police say Armando Trejo, 47, beat his wife and stepson to death with a baseball bat. BEACH PARK, Ill. (WLS) -- A man is now charged with murder in the death of his wife, 43, and stepson, 14, in northern Lake County. Police say Armando Trejo, 47, beat the victims to death with a baseball bat in Beach Park. Trejo is being held on a $5 million bail. "Major shock to hear any of this has happened honestly," said neighbor Bernard Wewers. "I don't know them personally, but I know them as neighbors and they are very respectable people." Deputies said a third victim, a 68-year-old woman, was found injured inside the home. She was rushed to the hospital and is expected to survive. Police said a man at the scene witnessed the crime. Neighbors said it is unusual to see a crime scene or a heavy police presence on West Bairstow Avenue. "We don't have any police presence here, people getting pulled over on the street, people getting stopped on the street," Wewers said.